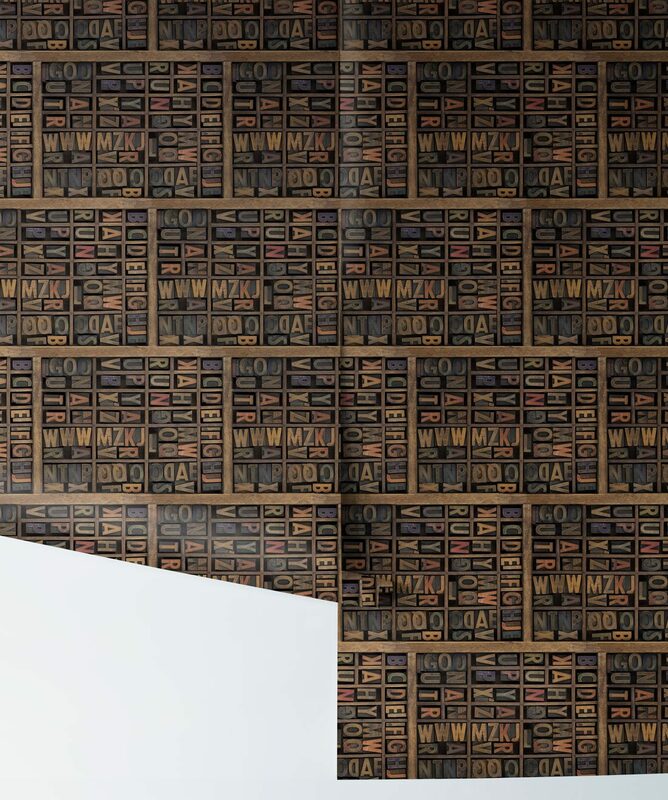 The image captured and then transferred onto this top quality designer wallpaper is that of the old wooden letters belonging to an aged letterpress. The letters lie dormant, waiting to be taken and created into words, and are perfectly arranged while they silently await their fate. 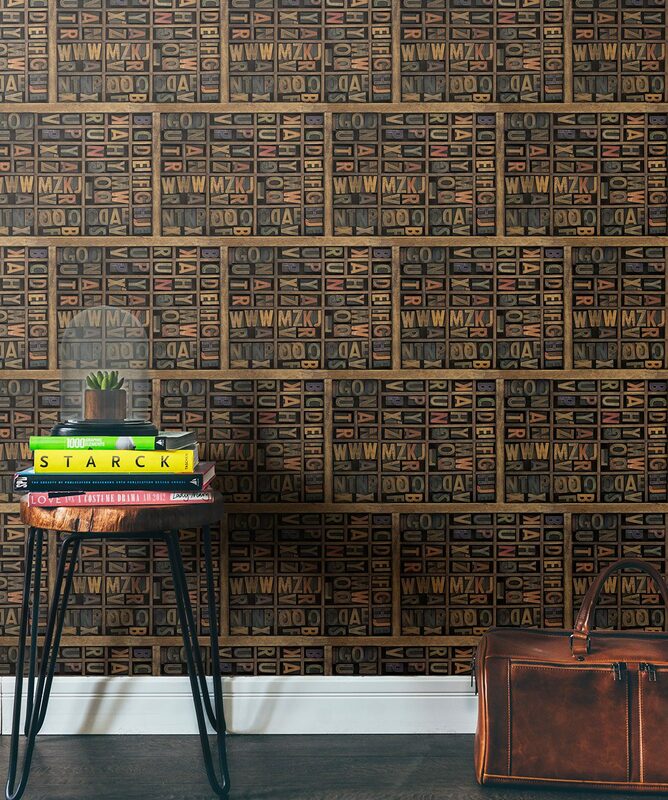 This stunning and totally unique wallpaper gives a nod to the bygone days of letterpress printing and is extremely pleasing from a visual perspective. 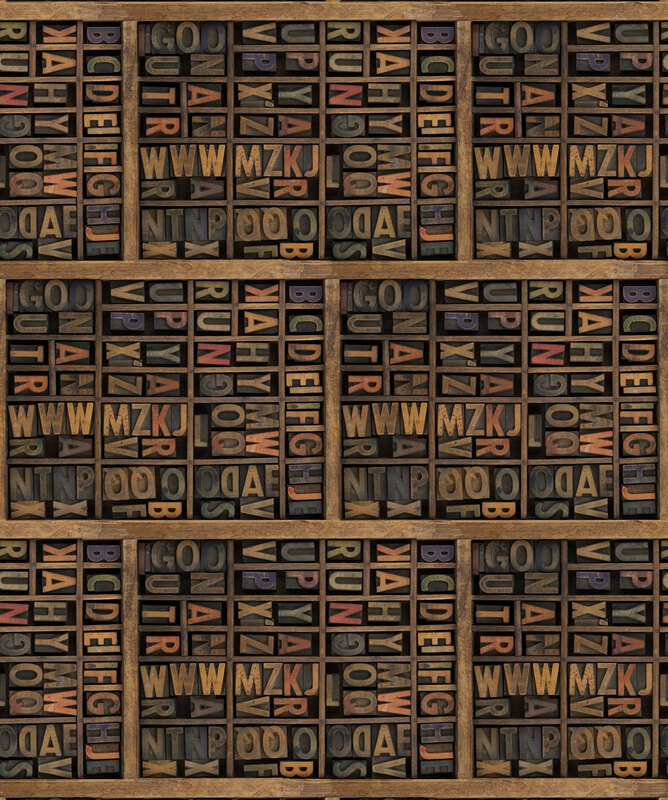 You will be so tempted to reach out for those letters that you will have to remind yourself that this in fact a wallpaper, and a top notch one at that.